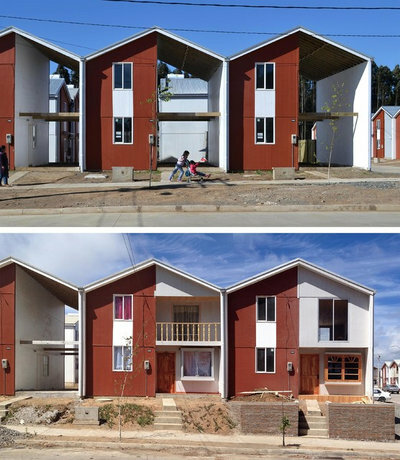 A commitment to social housing set a Chilean architect apart from others in his field to become the recipient of the 2016 Pritzker Architecture Prize, the industry’s highest honor. “Human life is so much richer than money,” Alejandro Aravena, 48, told The New York Times shortly after learning of the award. Aravena, who is based in Santiago, Chile, becomes the 41st laureate, the first from Chile and the fourth from Latin America, after Luis Barragan (1980), Oscar Niemeyer (1988) and Paulo Mendes da Rocha (2006). His work spans a broad spectrum of scale and purpose, from single-family houses to large institutional buildings. “He understands materials and construction, but also the importance of poetry and the power of architecture to communicate on many levels,” wrote the nine-member jury, which included Pritzker laureates Glenn Murcutt and Richard Rogers, and U.S. Supreme Court Justice Stephen Breyer, in its citation. Previous ArticleThe Punch List Makes Me Want to Scream!